mustard – Damn, I Can Make That! Remember last year when I had a real thing for dill? Well, this year it seems to be capers. I’ve found myself putting them on everything! (Except ice cream, you should never put capers on ice cream.) I know, it’s really random…like I can’t control my own taste buds. Anyway, for those of you who also can’t get enough of capers, or anything tart and savory, this dish is for you. The flavor on these beans is powerful, so I suggest pairing it with a chicken dish or something that’s a little lighter on the taste buds. Steam or boil the green beans for roughly 20 minutes until tender and bright green. Submerge in a bowl of ice water to chill, you’ll want to serve these cold. 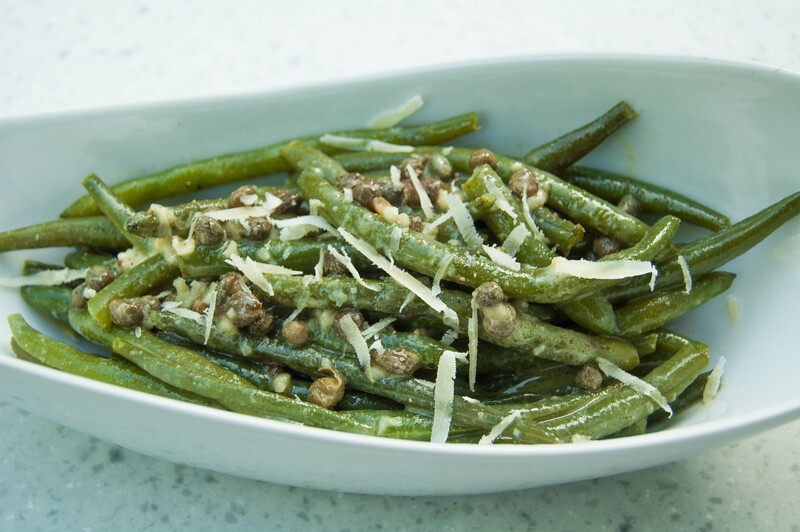 While the beans chill out, in a large bowl mix together the rest of the ingredients – white wine vinegar, olive oil, garlic, dijon mustard, capers, and the salt and pepper. Toss in the beans until full coated and top with shredded parm cheese. That’s it! An ode to my favorite grocery store under the Sun. Trader Joe’s. Cheap, fresh, organic, tasty, you name it…this place is THE best. Anyway, this blog is primarily easy recipes. Easy sometimes is mistakenly synonymous for quick. And while we appreciate the pace of most of the recipes, some of them such as the Sunday Simmer are best made “low and slow”. This is by far one of the easiest recipes because its mix, pour & roast however the total cooking time is 2 hrs. So if you need a quick week night dinner, keep scrolling. However, if you have some time to get laundry or other cleaning done…this recipe is clutch. Plus all ingredients are from TJ! So here you have it ladies & gents…Fig, Mustard & Pear Champagne Glazed Chicken. 1 TJ’s Whole Organic Chicken (bone chicken = more scrumptious than non bone chicken, you better recognize! 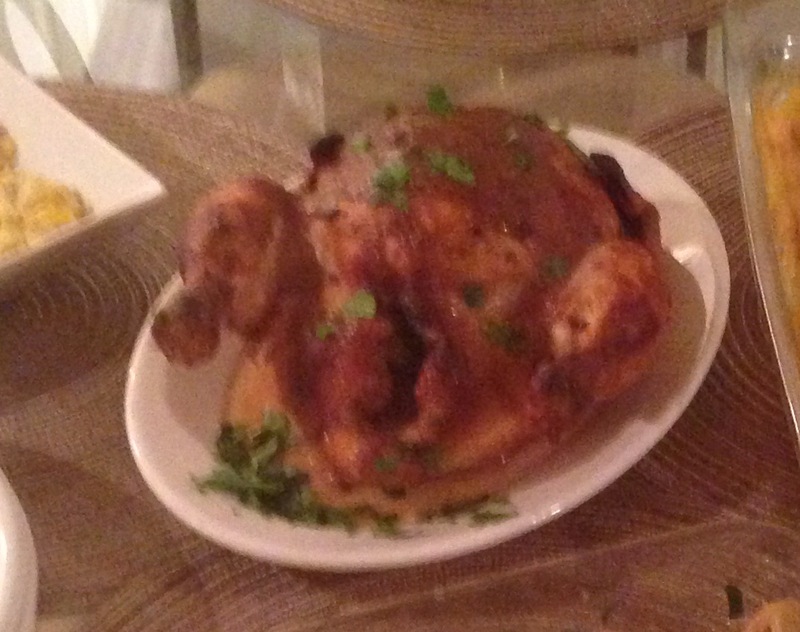 check out Mama Z’s whole chicken recipe too). 1 jar TJ’s Fig Butter (I used the little that was remaining as a spread with goat cheese & crackers on wine night so obviously a multi faceted purchase here). 1 jar TJ’s Whole Grain Dijon Mustard (this is used in dressing recipes, the crab cake recipe, etc…aren’t you happy to have to buy one less thing this time around, your welcome). Preheat oven to 350°F. 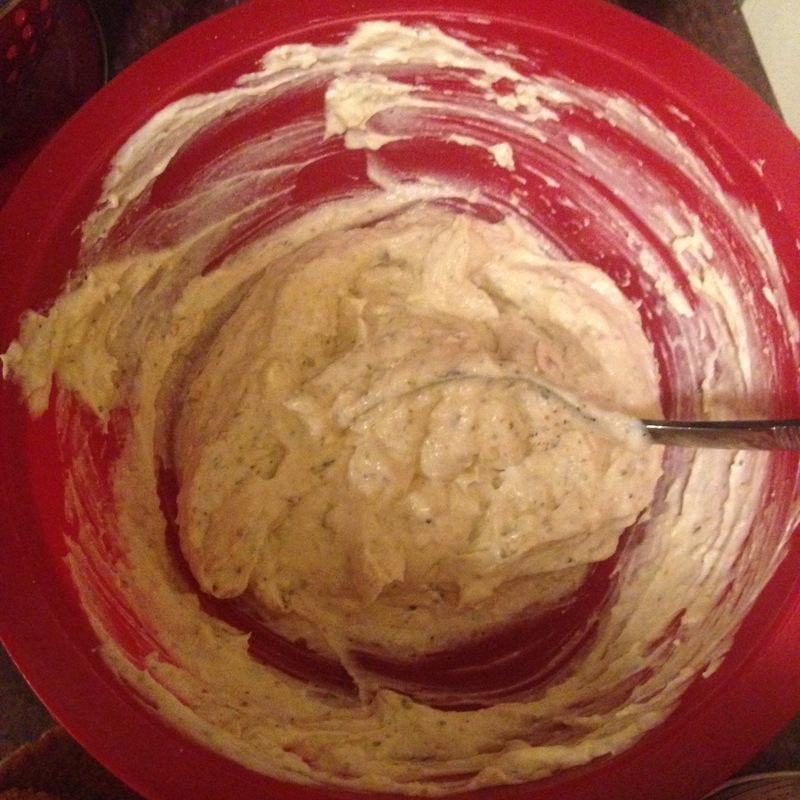 In a small mixing bowl, combine 1/2 cup of the fig butter, 1/2 cup of the mustard and 1 cup of the vinaigrette. Rinse and thoroughly pat dry the chicken (moisture on the chicken will prevent the glaze from sticking to it). Place the chicken in a baking dish and spread 2/3 of the glaze mixture generously all over the chicken. (I did so, too generously. What I mean is that there was so much of the glaze that was on the pan surrounding the chicken that it started to burn & made my fire alarm go off. Crisis was averted by opening a window and switching to a clean pan, but it messed up the heating/cooking temp of the chicken & probably could’ve gotten an extra 20 min the oven to make up for the mid cooking swap). They say the rule of thumb is 20 min per lb. (I didn’t put much thought into that and just pulled it out when it looked done). Anyway half way through I basted the chicken with the remaining 1/3 of the glaze mixture, so moist & divine this chicken came out! This serves 4 people and I served it with the roasted potatoes recipe under sidekicks.